Take a cue from your suggestions to your students' families to keep reading this summer and create your own summer reading list! 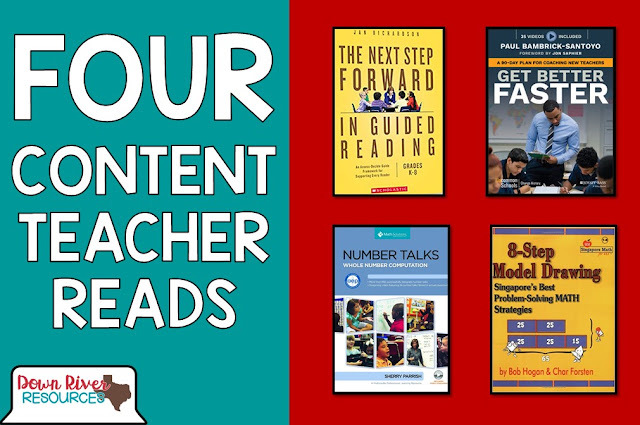 Explore new teaching strategies for guided reading and math number talks, learn to change your fixed mindset and be a gritter teacher, improve your communication as an instructional specialist, or be the 'wild card' in your classroom! 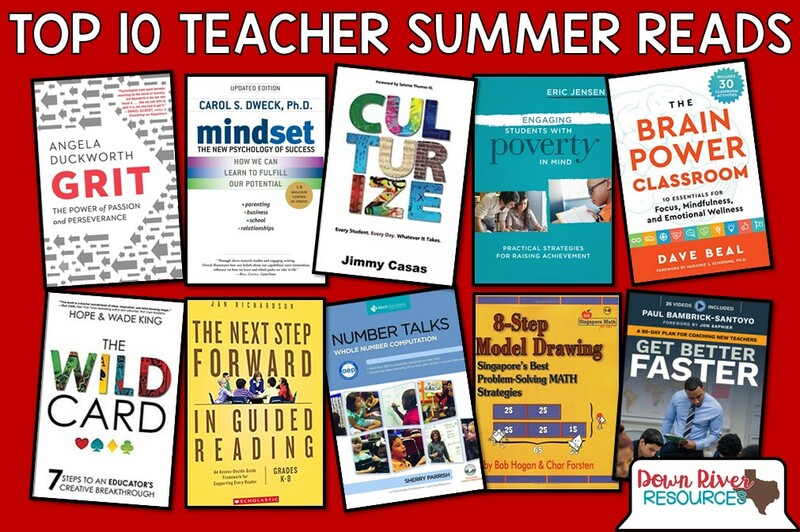 All this and more is awaiting you in my top 10 books for teachers designed for those who are wanting to deepen their professional learning and re-energize before the bustle of back-to-school season comes in full force. In the last few months, I have been inspired by these ten books! Being the leader of a teacher development program, I have found that they have expanded my knowledge and re-energized me as I have assessed my program's successes and areas for growth. I have suggested these books to my teacher friends who are looking to expand their knowledge and want to share a little bit about each book with you. I complied a list with a variety of books so that each teacher can find something suitable for their interests and needs, but I am sure you can already tell what has become a personal interest for me! I hope that by the end of this post, you are heading to your local library, purchasing a personal copy, or downloading the digital version of at least one of these professional titles. * Please note: We are a participant in the Amazon Services LLC Associates Program, an affiliate advertising program designed to provide a means for us to earn fees by linking to Amazon.com and affiliated sites, at no extra cost to you. These small commissions keep this very website online! 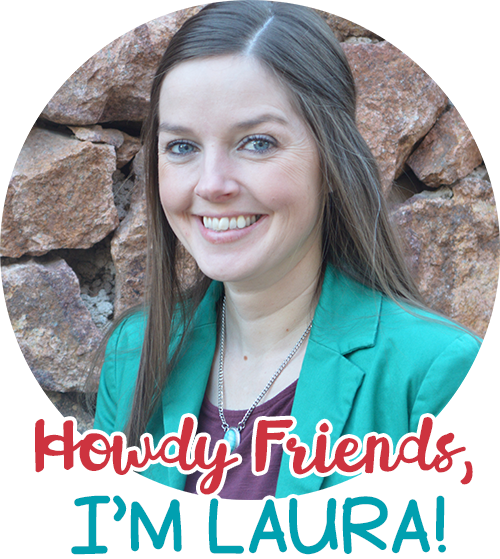 I only recommend these resources that I use and know you will love! I wanted to start off with the book that reignited my passion as a teacher and mother! Grit: The Power of Passion and Perseverance has changed the way that I view my daily tasks in my professional and personal life. 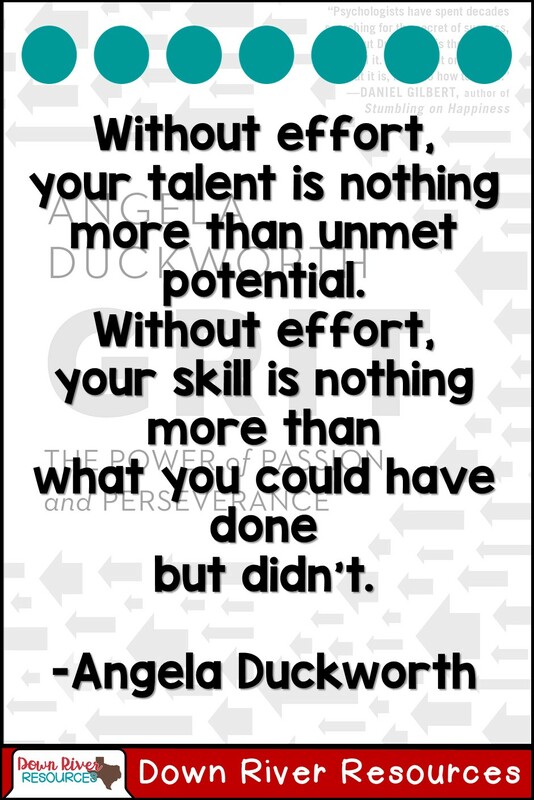 This is the book, authored by Angela Duckworth, is one that I keep going back to reread! I will be implementing the "Hard Thing" rule that Duckworth writes about with my own child on my pursuit of raising a gritty young woman. If you want your students or children to be gritty and create a household or classroom of follow-through, this is a must-read! The "growth mindset" has become a trending topic in education over the last few years and really took off this past school year. Before reading, I knew the basic principles based on the plethora of anchor charts floating around the internet. I must confess, I like to read the actual research and book before basing my classroom and my instruction around it! Mindset: The New Psychology of Success will not let you down in your pursuit to understand the startling differences between the fixed and growth mindset and ways to help nurture a growth mindset in yourself and students. Grit: The Power of Passion and Perseverance paired with Mindset: The New Psychology of Success have been two of the most powerful reads for me recently. I have made many decisions for my family and business after reading these books that have transformed the way we do things! 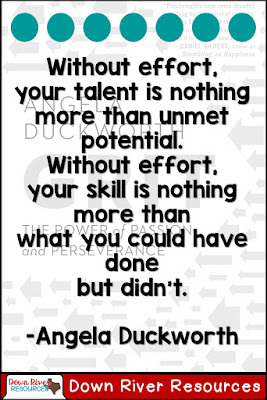 I am so thankful for the tireless research of Duckworth and Dweck. Culturize: Every Student. Every Day. 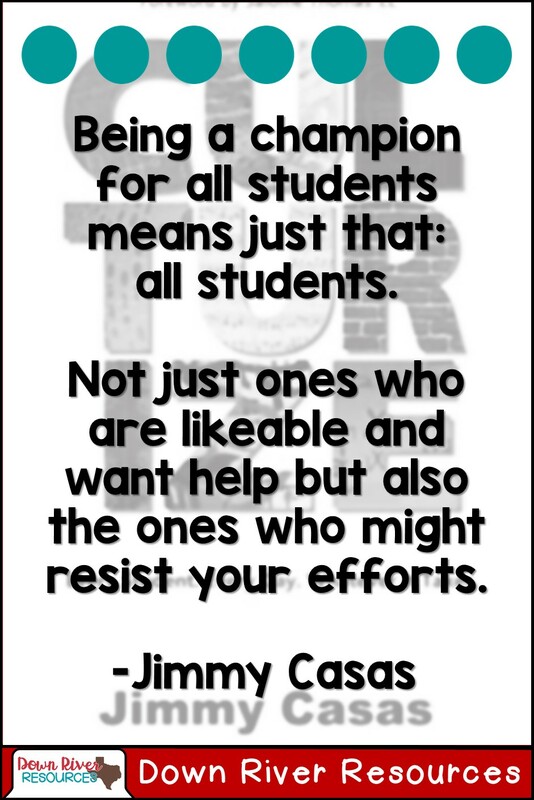 Whatever It Takes written by author and education leader Jimmy Casas shares insights into what it takes to cultivate a community of learners who embody the innately human traits our world desperately needs, such as kindness, honesty, and compassion. His stories reveal how these "soft skills" can be honed while meeting and exceeding academic standards of twenty-first-century learning. If you want to know how to create an environment where all learners are challenged and inspired to be their best this book will be your jam! Too many of our most vulnerable students are tuning out and dropping out because of our failure to engage them! (Maybe it's not your own personal failure to engage students, but a problem you are seeing at your campus, or across your district!) It's time to set the bar higher! Until we make school the best part of every student's day, we will struggle with attendance, achievement, and graduation rates. Eric Jensen, whose name you probably remember from college, who has had a great impact as a learning expert, wrote this meaningful book, Engaging Students with Poverty in Mind: Practical Strategies for Raising Achievement . The Brain Power Classroom: 10 Essentials for Focus, Mindfulness, and Emotional Wellness by David Beal provides expert guidance and inspiring stories from the field. Thirty classroom activities help you create a Brain Power Classroom full of engaged, focused and collaborative students! I am amazed at how simple and friendly the exercises are, but how powerful is the effect they have to increase the potential and strength of students' body, emotions, concentration, and mind in the most integrated manner. I had heard so many of my mom friends talk about using the strategies with their children at home! Wade and Hope King show you how to draw on your authentic self--your past experiences, personality quirks, interests, hobbies, and strengths--to deliver your content creatively in The Wild Card: 7 Steps to an Educator's Creative Breakthrough . Educators have been raving about this book on social media since its release earlier this year! If you think the deck is always stacked up against you, this book is for you. 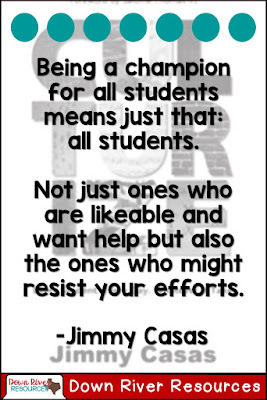 You will learn to be the Wild Card who changes the game for your students! If you are a brand new teacher using guided reading or want to delve deeper in assessing, deciding, and guiding your students, you must read this book by Jan Richardson! The Next Step Forward in Guided Reading: An Assess-Decide-Guide Framework for Supporting Every Reader includes 29 comprehension modules for you to use in your classroom. She takes you through all of the key parts of guided reading. You will have a much more complete idea of what guided reading looks like and sounds like in an effective classroom. If you are looking to grow as a reading teacher, this book is for you! Of course, my list wouldn't be complete without a few math titles. 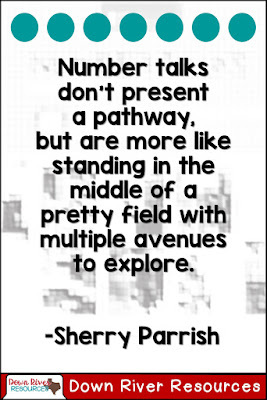 Number Talks: Whole Number Computation, Grades K-5 by Sherry Parrish helps you implement number talks in your classroom! If you want to use number talks, but are unsure of how to begin or are a teacher who has a little experience but wants more guidance in crafting purposeful problems to use with your students, this book was designed with you, and me, in mind! 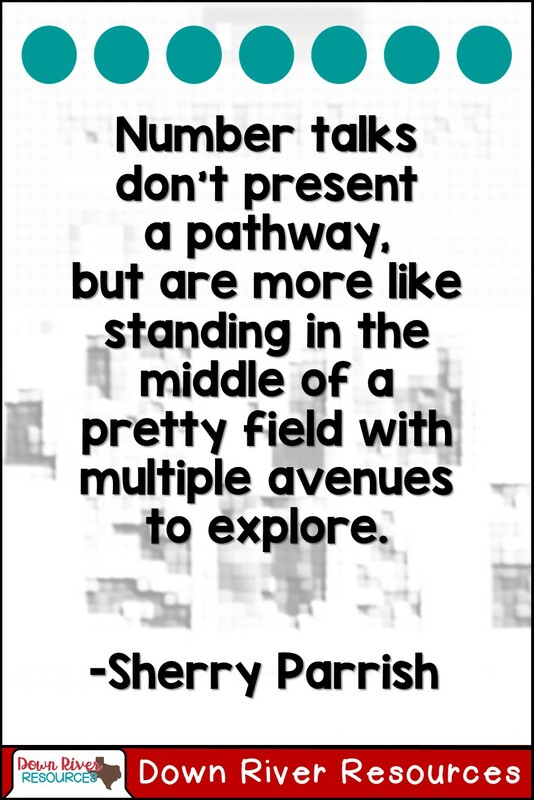 After reading it, I just wanted to talk numbers ALL DAY! I get many questions about the various visual representations that are suggested to use in whole number computations and algebraic reasoning. If you are not familiar with model drawing, this text by Bob Hogan and Char Forsten will walk you through 22 different types of problems and help you understand the basics! 8-Step Model Drawing: Singapore's Best Problem-Solving Math Strategies provides a "teacher talk" section which gives you a suggested script for talking through model drawing! This is a great read for teachers new to a grade level that utilizes model drawing. The book is recommended to teachers in first through eighth grades. After spending an entire night reading through the different problems and scripts, I became eager to share this strategy with all of my teacher friends! It really is a step-by-step guide for the various operations and uses of model drawing! Are you a new teacher or instructional coach? I saved this one just for you! 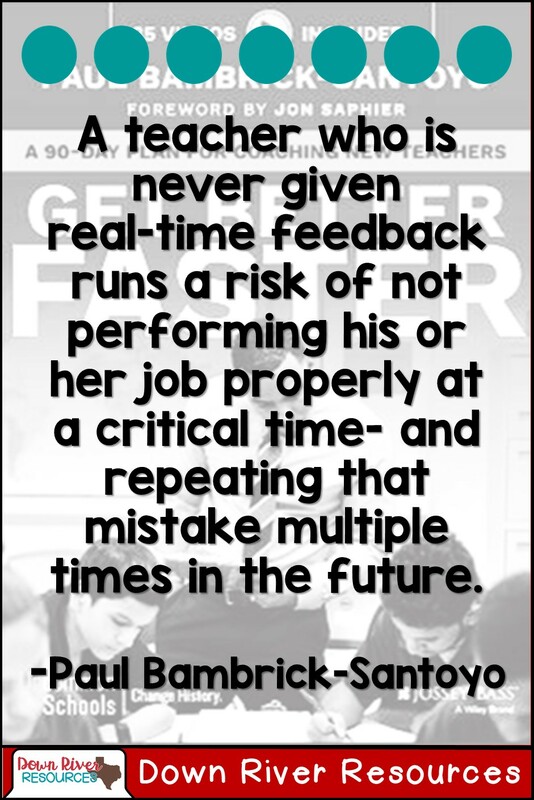 Get Better Faster: A 90-Day Plan for Coaching New Teachers by Paul Bambrick-Santoyo shares instructive tools of how school leaders can effectively guide new teachers to success. Over the course of the book, he breaks down the most critical actions leaders and teachers must enact to achieve exemplary results. This is so important as a leader! It gets so overwhelming when you are not focuses on actionable items that are manageable for a new teacher! 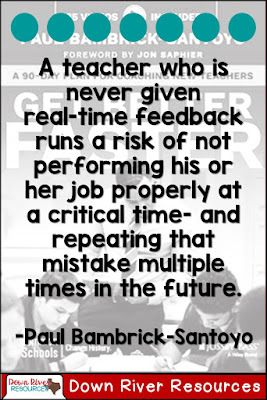 Get Better Faster is an integral coaching tool for any school leader eager to help their teachers succeed and even helps new teachers as they navigate their classroom! 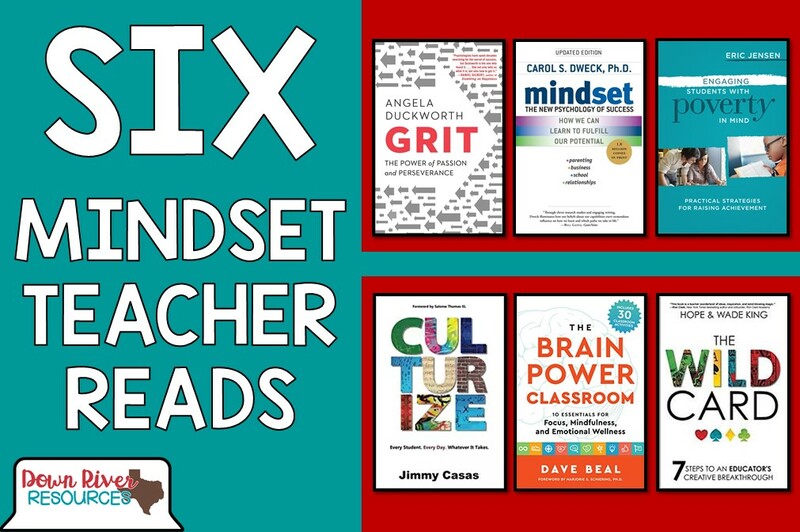 I hope this post inspires you to read one of these top books for professional learning! Make sure you make time to relax and enjoy! When you are ready to start getting ideas for back to school, please see if any of my resources are a good fit for your classroom. You can shop here. What book(s) will you read this summer?